Liverpool has earned maximum points so far this season. After the opening stretch of games in 2018-19, Liverpool is one of three teams to have twelve points out of a possible twelve. 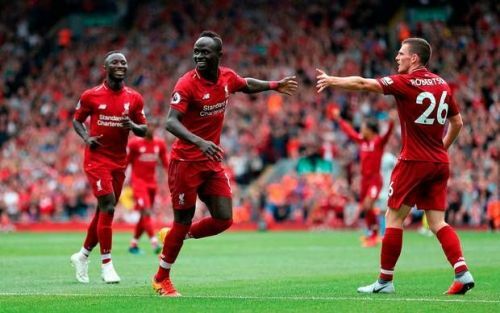 It is the first time they have won their opening four matches of a Premier League season. They have done so, conceding only one goal in the process. With the defence being a massive improvement, the Reds seem revitalised for this season. The added layer of depth is helpful, something that will go a long way in helping them this season. Following the Champions League group stage draw, Liverpool's September just got a lot more difficult. Having been drawn with Paris Saint-Germain and Napoli, the Reds will surely relish these big European games. However, they do have the league to contend with and in a period where they play three of their rivals from the top six, it is extremely important to stay in control. Add in a cup fixture against Chelsea and the Reds will have a lot of juggling to do over the next four weeks. It was during this period last season when Liverpool's progress deviated to the point where the title was already out of reach. One win, four draws and two defeats from seven games really hampered Jurgen Klopp and his side's progress, a similar outcome from this run of games would spell major disaster for them. These are the games where you must perform and win in order to compete for trophies. The Reds will be feeling the pressure, they must not fold. Here are the possible happenings for Liverpool during this daunting seven-game stretch that could possibly end up defining their entire season. Liverpool got thrashed during their last Wembley visit. Liverpool's first game after the international break will be away at Tottenham. Originally scheduled to be the first game to be played at the new White Hart Lane stadium, a delay has caused this match to take place at Wembley instead. Wembley used to be Liverpool's home away from Anfield in the past, but the Reds have found it difficult there in recent seasons. Their last game at Wembley resulted in a 4-1 mauling at the hands of Spurs. The North Londoners enjoyed a good start to the season, claiming maximum points before losing to Watford in a major upset. 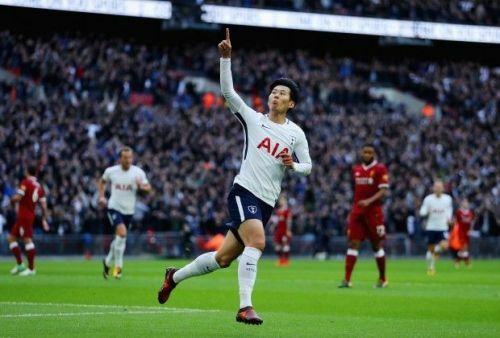 Heung-min Son will be back for them, after becoming a national hero following South Korea's victory in football at the Asian Games. Their other English players will also settle in better than in the previous month. Tottenham will pose a major threat to the Reds. Liverpool's perfect start cannot last forever, it will likely end at the hands of Mauricio Pochettino's men. The players may have last season's horror show in mind when they step on to the Wembley pitch, although the Reds' defence has completely transformed from that fateful day in October. With Virgil van Dijk and Joe Gomez already forming an extremely solid partnership, Liverpool will be very tough to beat. It will be a tough ask to beat Spurs, as well. Shared points seem to be the most likely option.